I thought that it would be fun to recreate a top from last year's Top-toberfest series and change it up just a bit. I thought that it would be a great way to show how easy it is to adjust your own patterns and create a new look. 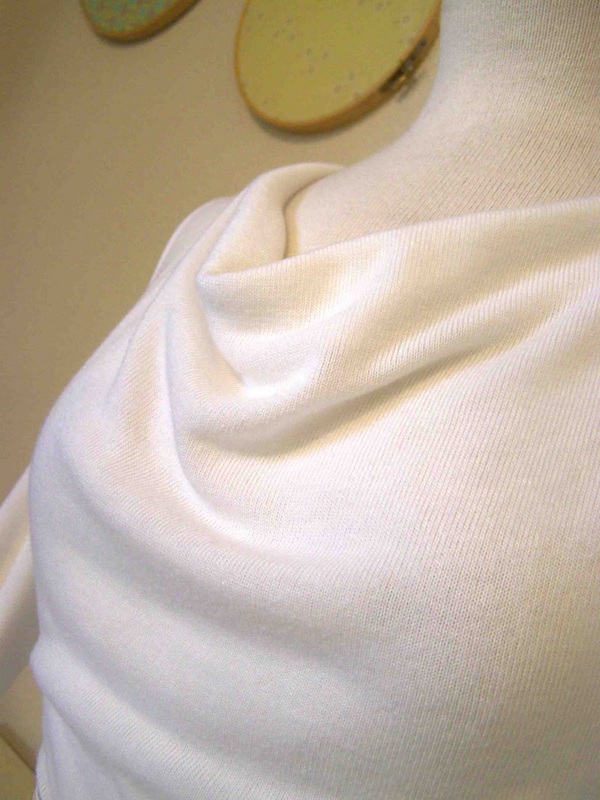 The cowl neck tee was a favorite of mine from last year, and the pattern was basic enough that I new it could be adjusted easily. I picked up some lightweight sweater knit, and felt that it was begging to be transformed into a fall tunic. There's no new tutorial for this top, but you can see my post from last year on my cowl neck tee for links on drafting the pattern. To adjust the pattern I first found a sweater with the same fit and length that I wanted in this top. I then created a separate pattern piece for these sleeves by transferring the shape of the arm opening to my new pattern piece, and used my existing article of clothing as a guide. 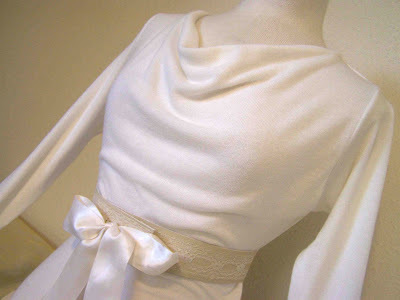 Rather than finishing off the sleeves with a hem I gave them a good pull when the top was completed. 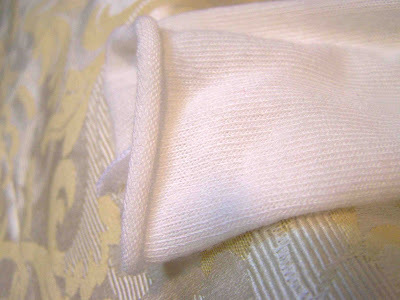 The tension on the fabric caused the knit to curl up on the ends, just what I was hoping that it would do. I used an existing sweater dress/tunic that I have as a guide on determining the length of the top. 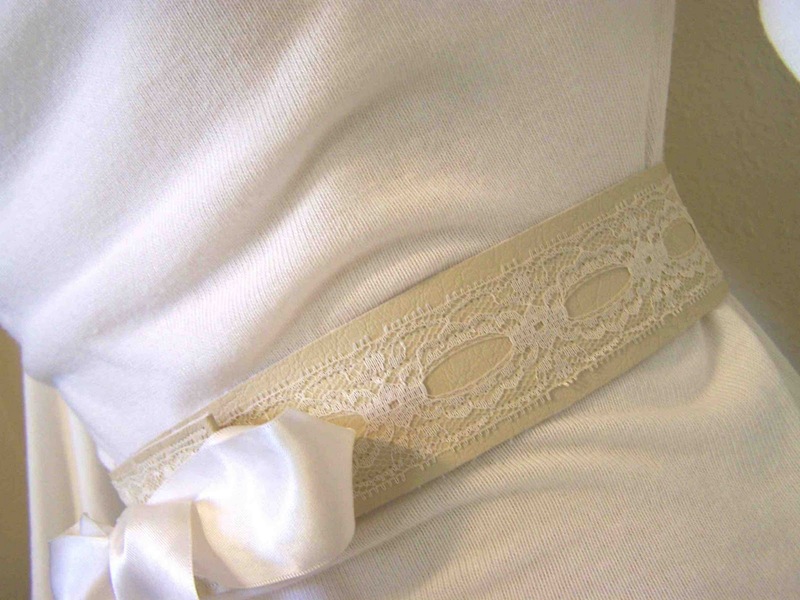 When adjusting the pattern I followed the basic shape of my garment. This top fits rather close to the body, and the hem hits me about six inches below the hips. A couple of basic adjustments to a pattern I love, and now I have a new top for the season. I had hoped to take a few pictures of me wearing it on Sunday, but by the time my husband was around for a photo shoot I was covered in spit up and chocolate finger prints. Want to make the belt, you can find my tutorial here. Don't forget to link up your tops to the Top-toberfest link party. LOVE this!! 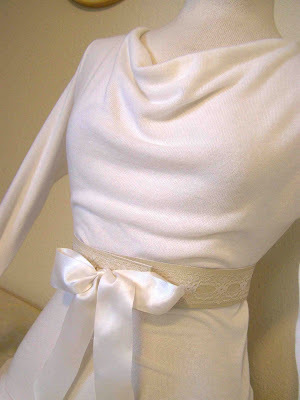 The ends of the sleeves are really cool and the cowl is just the right amount of draping. Beautiful top! Thank you for linking to the tutorials. I really want to try sewing one!